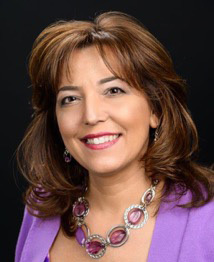 Alisa Santucci is a licensed Graduate Marriage and Family Therapist and independent contractor with over thirty years of experience helping children, youth and families develop skills for lifelong wellness. Alisa believes our well-being is cultivated by our relationships, life experiences and throughout the developmental lifecycle. Milestones such as marriage and children, careers, launching young adults and caring for aging parents can challenge couples and families in ways that impact our emotional functioning. Couples, families and relationships benefit from understanding, nurturing and strengthening our interactions with each other to create loving attachments that endure with skills that support communication, problem-solving and trust. Alisa believes all individuals possess the potential to live their best life. Her trauma-informed clinical experience encompasses working with individuals, couples, families, at-risk youth, survivors of child abuse and neglect, substance use, parenting, adoption, interpersonal and workplace violence. Alisa holds a Master of Science degree from Nova Southeastern University, a Post-Master’s Certificate in Military Veteran’s Behavioral Health from Widener University and a Bachelor’s degree in Psychology from Rider University. Alisa has completed Emotionally Focused Externship and Level 1 Certified Gottman Method Couples therapist. She has three adult children and has lived locally in Germantown for the past twenty years. Alisa is an independent contractor.